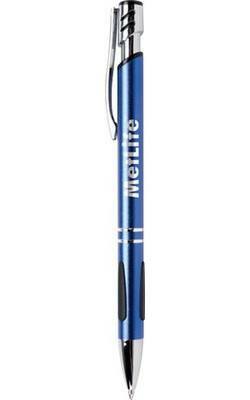 Laser engraved executive retractable metal pen . 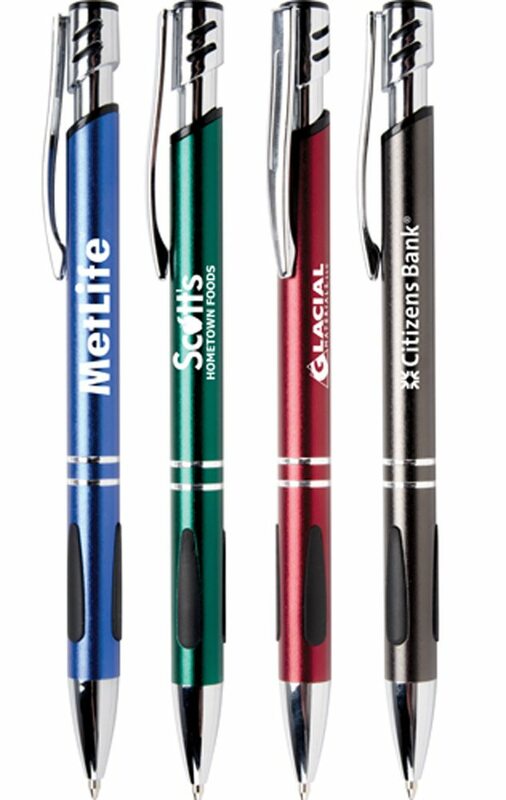 Shimmering jewel tones with silver accents. 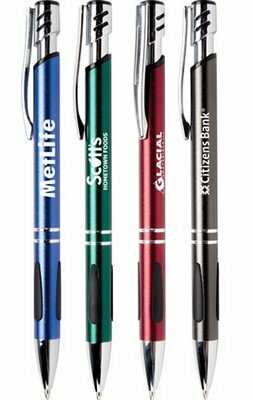 Stamp your business logo on these vivid metallic Carrita Retractable Ballpoint Pens and gift it to your customers with swell pride. The bright chrome and black accents combo makes this pen a stunning piece of writing instrument. The ergonomically designed Carrita Retractable Ballpoint Pen comes with a jumbo barrel and a ribbed rubber grip for an added writing comfort.